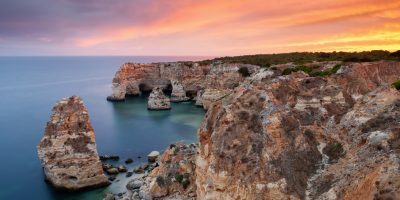 Portugal is well known for popular holiday making destinations such as the Algarve and Lisbon, however, there is so much more to this country – home to an abundance of nature and wildlife, with stunning natural beauty. Portugal is geographically fascinating with remnants of ancient volcanic activity demonstrated in its rugged rock formations, wondrous caves and cliff faces, it also boasts plentiful sandy beaches, which sprawl for miles on end on the fringes of the Atlantic ocean. Cyclists have the opportunity to experience rich and plentiful history, beautiful architecture and the strong religious influence whilst enjoying for the most part of the year, lovely sunshine. The Portuguese are also well known for their warmth, hospitality and vibrant culture. Our magnificent end to end trip, takes riders all the way from Valenca in the north of the country all the way to Olhao in the far south of the Algarve. The tour passes through the stunning hills of northern Portugal before embarking south and following coastal paths for 3 days. The tour then progresses inland and down towards the Algarve, soaking up simply glorious scenery along the way. Accommodation in Portugal is generally of a high standard, as the country relies heavily on tourism – many hotels offer excellent facilities and swimming pools. We cover between 70 and 90 miles each day including some hilly days and this trip is for physically fit cyclists who train regularly. 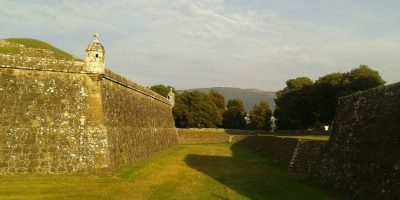 Alternatively for those looking for a tour of a faster pace, we offer our Portuguese Top To Bottom Challenge, the same fantastic route in just 7 days of cycling as opposed to 10 days of cycling in the regular tour.